If an Apple Watch is on your list - here's a more affordable way! 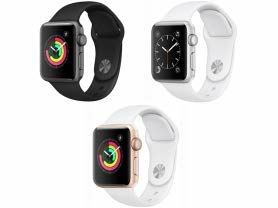 Today ONLY - Apple Watch $189.99 - $299.99 - refurbished. I have NEVER been able to tell the difference in ALL the stuff I've purchased and have save tons of money.